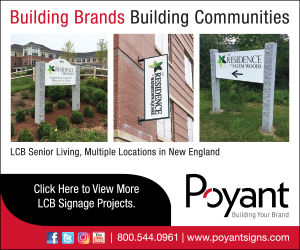 Waltham, MA – Vantage Builders, Inc., a general contracting and construction firm based in Waltham, recently announced that it completed the transformation of a former warehouse building into a state-of-the-art cannabis cultivation facility for Sanctuary Medicinals. Located at 234 Taylor St. in Littleton, the facility has eight grow rooms and facilities for producing marijuana edibles and oils. The is their second cultivation facility, and have worked closely with Sanctuary’s management to understand the unique methodology and approach to growing cannabis. The location is for cultivation and production only, there is no dispensary on-site, and has followed the Tony Fallon Architectural plan. There are eight grow rooms approximately 2,400-square-feet designed to maximize cultivation capacity. plants are housed in long shelving units with three tiers, known as a vertical grow system, growing 20,000 plants and shelving units are track-mounted for easy movement. The location has approximately 2,500sf of office space for the company’s employees. The facility features multiple levels of security. All areas are constantly monitored by cameras and access is allowed only by security card and biometric fingerprint scanners.